do people still eat eggo waffles? | six words to change the world. ← ladies and gents, a christmas post! do people still eat eggo waffles? Now, here is a serious tragedy. 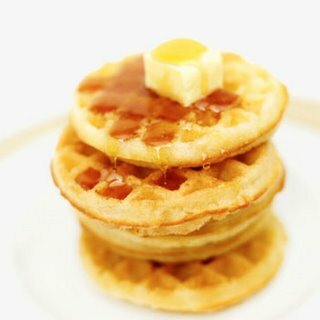 Kellogg has reported that there will be a shortage of Eggo waffles until next summer. Two of the four plants that mass-produce the waffles are shut down for the time-being. The largest “bakery” in Rossville, Tennessee is closed indefinitely for repairs and the other in Atlanta was shut down because of an unprecedented amount of rain from a September storm. If all else fails, we could all cut holes in cardboard and throw them in the toaster. I bet we couldn’t tell the difference. You have officially confirmed that my mother and I are not crazy, so thank you! For the past month or so, my mother and I went from grocery store to grocery store, madly searching for our Eggos….as there has been a strange slimming supply lately. From Giant, to Acme, to Wegmans. We couldn’t figure it out and now, an explanation. I’m quite disturbed at the news, as I LOVE me some Special K Eggos. Sadly, I do not douse them in syrup and margarine like I did every morning before elementary school, but now they are very convenient and yummy for breakfast during my morning commute. Ugh…those store-brand waffles are just not the same…. !